Interference signals can always be found during spectrum monitoring, which has a serious impact in the regular use of radio business . Sometimes is difficult to shied it by suppress signal, so it is becoming increasingly important to find the location of the interference emitter . 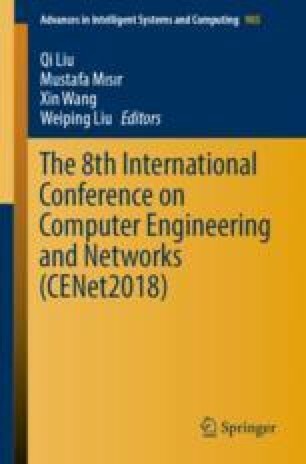 This paper proposed an effective technique in interference emitter localization based on intersections of hyperbolic curves defined by the time differences of arrival of a signal received at three monitoring stations. The approach is noniterative and gives an explicit solution. In the end, this paper token a field test based on the hardware platform, the final result is given. Thanks to the experimental data provided by the Institute of Digital Signal Processing and Software-Defined Radio, Lanzhou Jiaotong University. In addition, this work was supported by Youth Science Foundation of Lanzhou Jiaotong University under Grant No. 2018003, No. 2018028, No. 2015009, Opening Foundation of Key Laboratory of Opto-technology and Intelligent Control (Lanzhou Jiaotong University) Ministry of Education (KFKT2018-16), Innovation Fond Project of Lanzhou Jiaotong University and Tianjin University under Grant No. 2018062, Scientific Research plan projects of Gansu Education Department under Grant No. 2017C-09, Lanzhou Science and Technology Bureau under Grant No. 2018-1-51.